It begins with a single bottle. As any journey starts with the first footstep, building a collection of eLiquids begins with your first bottle. That first bottle is vitally important to arriving at the destination you have planned. And it does take some planning. 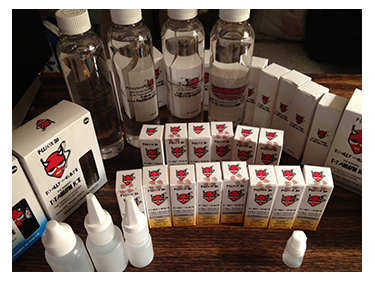 Building a great collection of eLiquids can be one of the most enjoyable aspects of vaping. Without a plan it can become an obsessive, lonely and expensive journey that ends in disaster. To avoid a disastrous end you must first decide on where you want to go. A great collection of eLiquid can be a ‘great collection of desert vapes’ or a ‘great collection of tobacco vapes’, or even a ‘great collection of all-day vapes’. Only you can decide what type of collection you want to build. For myself, my first attempt at a great collection will be a ‘fundamental’ collection, a collection that has all the bases covered. Only later will I branch out into sub-collections of eLiquids. This ‘how-to’ will speak to that first fundamental collection I am attempting to build but you can apply these steps to any sub-collection you want. Step One – Start from Scratch – No matter how many bottles you own right now, this minute, unless it is still brand new, never opened, shrink-wrapped or otherwise sealed, none of these bottles should be included in your ‘great collection’. In fact, until the minute you decid to build a ‘great collection’ every bottle of eLiquid you purchased was for singular reason, a selfish reason…they were purchased to vape them to your heart’s content. So do that. Vape them, vape them all, and do not look back. Step Two: Choose your Location – A great collection of eLiquid must have a secure, humidity free, temperature steady place to live. For me it is my bedroom armoire. It is large enough, with enough shelves (added by me), to hold more than 250 30ML bottles, a grand collection when, or if, I ever achieve it. You should have easy access to your collection so that you can admire it, show it off, share it, but most of all, keep it safe. Step Three: Decide on your Theme – So what will it be? A great collection of ‘desert’ vapes? Fruity vapes? Tobacco vapes? Chocolate vapes? Vanilla vapes? As you can see the theme can be anything you want, it’s completely up to you. Which will it be? Other options include things like ‘will they all be American-made and/or American-sourced’? (of course! )Will you divide the brands up evenly? How many variations will you allow? By this I mean, if your theme is ‘chocolate’ will you allow any blend that contains chocolate or must the flavor consist mainly of chocolate? When building a great, fundamental collection, it must be decided if all segments will be equally represented or it will bend to your likes and dislikes. If you do not enjoy menthol can you build a great fundamental collection without it? My answer is yes, yes you can. My fundamental collection is “MY” fundamental collection. It is what I consider to be ‘fundamental’, not someone else. Finally, the last option to consider is time and money; How much is your budget and how much time do you have to build your collection? Before you add your first bottle, which is like your first brick in your home’s foundation, all the decisions above have to be made. If you do not do these things first you will probably derail your collection before it is complete. The result of a derailment is winding up with bottles of eLiquid that have no purpose, that might go to waste. A terrible fate for any bottle of eJuice. Step Five The First Bottle – My decision to build a great collection of ‘fundamentals’ led me to concentrate on all-day vapes first. Looking over the resting place for my great collection I decided that Shelf #1, front row, left, would be the location of my first bottle. I would build left to right, and with the height of the first shelf being low enough to look down and see (admire?) the entire shelf, I could build each row and push the row back as each new front row was added. 20 bottles across is my first row, my 21st bottle will become the new #1, front row, left, on so on. Once the decision for all-day vapes and their location were chosen I thought about the brand and flavor of eLiquids that I have vaped more than any other. The flavor I returned to time and time again, more than any other flavor, is my obvious first choice. That brand/flavor would become the first bottle/brick in my foundation. It should be yours as well. Having made the choice for the first bottle/brick I went to the website where that brand/flavor is sold and ordered one bottle. The options for that bottle were the standard options. Choices like mid-level nicotine strength, the brand’s “house blend” of PG/VG ratio, and no extra flavoring are all were decided upon. The first bottle cannot (should not) be modified in any way. Modified flavors will come later. Until that bottle arrives do not buy another bottle to add the your great e-liquid collection. (Though you can order whatever you like for your normal vaping needs) Take it step by step, this is no time to go rogue. Certainly think about your next bottle, but do not act on it. When the bottle does arrive place it in your collection in the spot you have already chosen to lay your foundation’s first bottle/brick. Your collection has now starting to become a reality. Step Six: Further Bottles – You’ve decided on your location, your theme, your options, and you’ve purchased your first bottle and placed it in your foundations first spot, unopened and secure. Time to build the e-Liquid Collection. 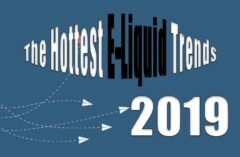 Since I have set my budget I know how often I can add a bottle to my great e-liquid collection, and I know how long it will take to complete the collection. No matter which theme you’ve decided to build your collection on you too must have your budget set, and the number of bottles you think it will take to complete your collection. This is vital for a couple of reasons; the first reason is that any collection that does not have the criteria for being finished will never be finished, and second, a sense of accomplishment is important if you ever intend to build another great collection based on a different theme. Besides, once you reach your arbitrary number you can always add to it when you discover a bottle that simply HAS TO BE in your collection. No one but you can decide how many brands are needed to represent a great collection. You, no one else, will define your great collection. If a great collection is simply a bottle of every flavor offered by a certain brand then that’s your great collection. You control the collection the collection doesn’t control you. Remember that my first collection will contain new bottles and all the bottles I own that didn’t make it into the collection would be available for vaping. While I vaped away on the bottles that are not destined for my collection, the bottles that were destined to be in my collection were steeping, gaining flavor, smoothness, and greatness. I would begin reaching into my collection approximately 30 days after it is completed. I will have very little juice left from my non-collection bottles, and will ‘guesstimate’ the time I have left before I would need to tap my collection. I would order 5 bottles from 2 brands (or thereabouts). I would look for those brands on my list that were offering a discount code. Once those bottles arrived I would reach in and swap out the old bottles for the new ones. (The ‘first in first out’ method) I would continue to do this so that at all times my 100-bottle ‘great collection’ would always be intact, and never get too old to vape. It seems almost foolproof. Almost. There will undoubtedly be occasions when a flavor in your collection that you did not anticipate wanting to vape before you could get a replacement will rear its ugly head. Discipline will fail you, as it has done me, and for a time the great collection will not be complete. Don’t panic. Stay calm and order a replacement bottle ASAP and replace it before its absence begins to eat away at you. I know this is all overboard silliness, but in all seriousness I am actually building an e-liquid collection of my favorite juices and I am calling it my ‘great e-liquid collection’. It has become a passion for me. It is a source of enjoyment and I’m having a hell of a lot of fun building the collection. I research the brands I like, keep track of new flavors being offered (there are always new and exciting flavors coming out), and before I decide to make it a part of my great collection I’ll most likely order a bottle to sample. If I deem it worthy it becomes a candidate for my collection. I don’t have the money or the discipline to actually be successful at completing and maintaining a “great collection” right now, but I’m working on it. And that’s the point. Could you imagine yourself thinking like this about tobacco cigarettes? Can you imagine enjoying cigarettes enough to want to build a great collection of cigarettes? Yuck! Whether or not you decide to build a great collection, or have already built a great collection, remember why you vape, remember why you enjoy it so much. All the batteries in the vaping world mean nothing without great eLiquids to vape. It’s not the similarity to smoking that drew me into the vaping ‘verse. It is the delicious taste of those eLiquids when they are vaporized and inhaled that grabs me. It is the reaction in the brain to the awesomeness of Mountain Oak Vapors “Classic CountRY4” or “Heavenly 7”. It is the sweet and delicious flavor of Ginger’s eJuice “Vanilla Iced Cupcake” and “Old-fashioned Sugar Cookie”, or Prime Vaping’s “Boston Cream Pie”, The Plume Room’s “Sweet Peach”, Virgin Vapors “Naked Vanilla”, FanceeJuice’s “Peppered ChocoMint”, The Vapor Girl’s “Sweet Potato Pie”, or Vape Dudes “Pineapple Upside Down Vape”, Mt Baker Vapor’s “Cinnamon Roll”, or Johnson Creek’s “Autumn Crisp”… all of the above, and many more, are delicious eJuice just waiting to be vaped by tens of thousands of people like us, you and me. 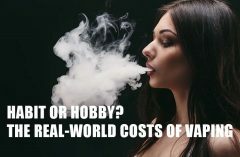 There is more to life than vaping, much more. But, like a good glass of wine or a great meal, vaping plays a significant part in our lives. Smoking cigarettes is a dirty habit that leaves you sick and smelly. Worse, its only function is to feed your addiction. Vaping is more like enjoying a glass of wine then smoking a cigarette. If you don’t vape you can’t understand why that’s true. I would love to know if you have a e-liquid collection, and if not, would you consider one. Which theme would you want, desserts, fruit, custards, tobacco, and how many brands would you have, how many bottles do you think it would take to build a great e-liquid collection? Certainly I’m not alone in this, am I? Previous : Jet Cigs 3 New Flavors! First Look! Next : Vision Vivi NOVA v2.5 Tank System – A Perfect Holiday Gift!